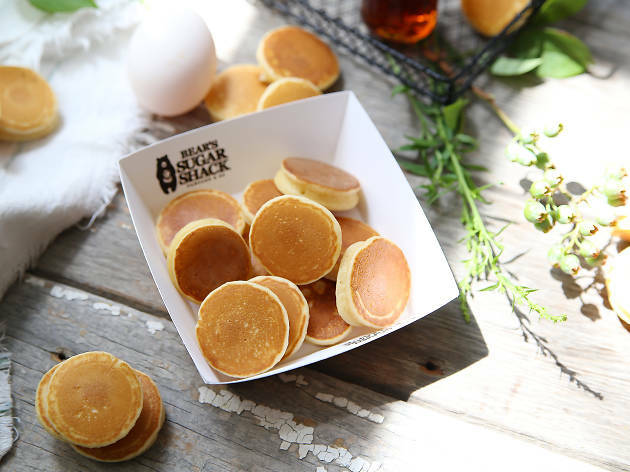 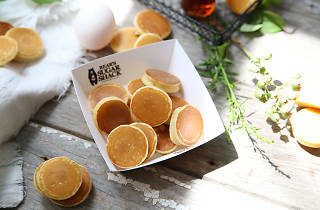 Japanese people like to make everything small – including cute tiny pancakes. 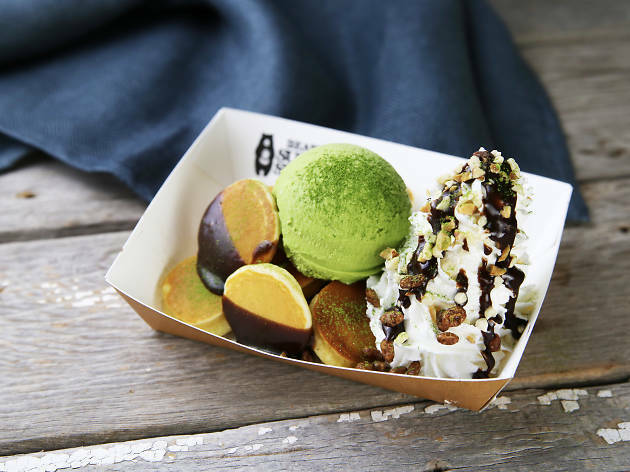 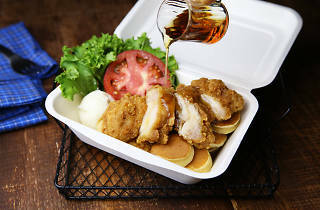 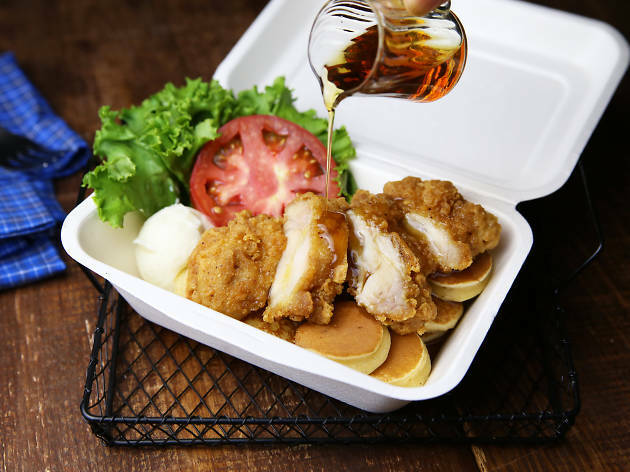 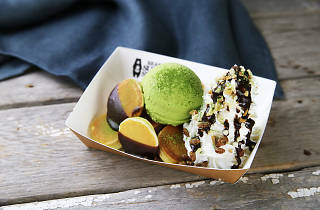 Each ’cake at this Shinjuku cart, opened in September 2017, is made with organic flour and cooked right in the store. 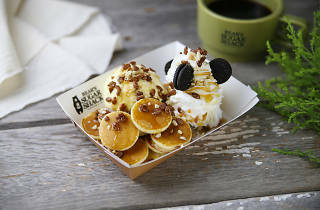 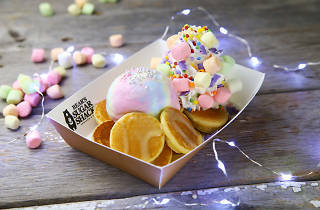 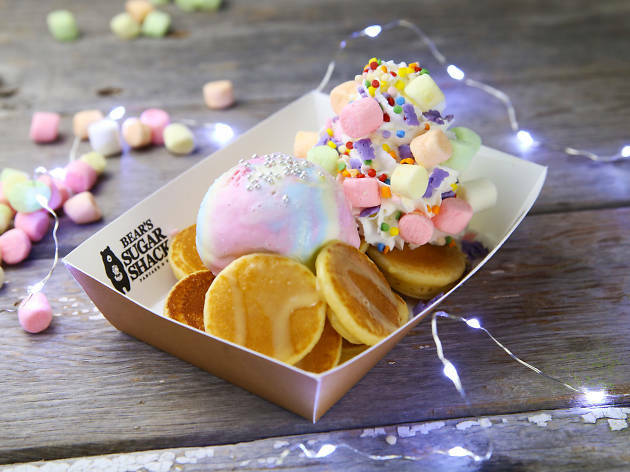 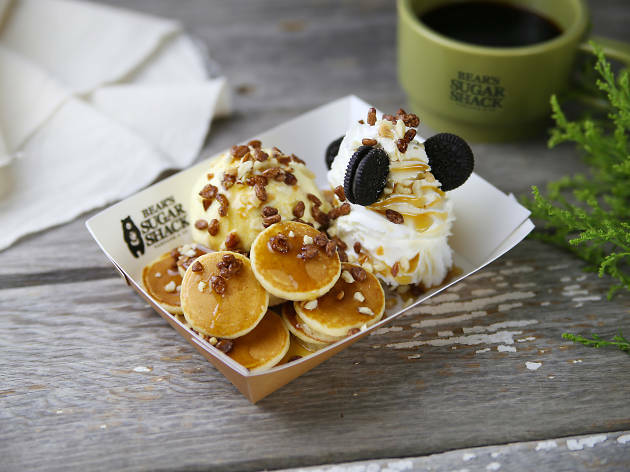 Try the super-colourful ‘unicorn bear’, the maple-syrupy ‘maple shack’ or another of their ten available types, or create your very own mini-pancake mixture with the sauce, toppings and ice cream of your choosing.